Elon Musk has been busy improving humanity's chance of long term survival for nearly 20 years. After helping to form PayPal, Musk went on to form a company whose work has since replaced the space shuttle when it comes to NASA flights to the space station and is behind the recent expansion in the number of electric cars on the road as well. 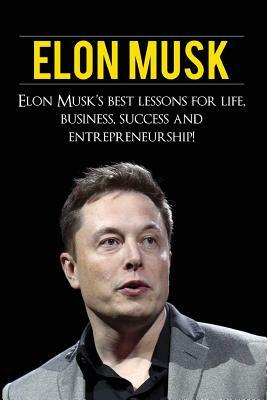 In addition to being a compelling story of triumphing against adversity, 'Elon Musk: Best Lessons for Life, Business, Success and Entrepreneurship ' has plenty to teach when it comes to learning the lessons that Musk has taken to heart to achieve his success. Musk is a symbol of the American dream, despite not being American, he is truly self-made, working his way through college and starting his first business in time to take advantage of the burgeoning internet scene to become a millionaire before the age of 30. Unlike many people who might think that was enough, Musk instead put his money into another startup which quintupled his net worth when his company was purchased by eBay. From there he went on to become the CEO of two companies which are each worth $1 billion. Do yourself a favor, learn from what Musk has done, and read this book today.